Giro d'Italia is underway. The mascot is a dormouse, which is called ghiro in Italian (I know you were wondering). 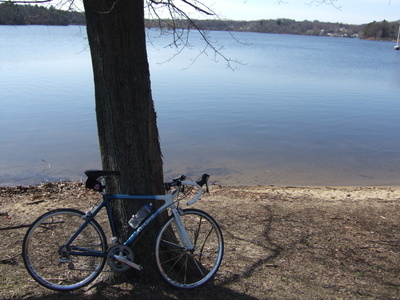 On June 3rd, I'll be participating in a training ride for the New England Classic--starts/finishes in Marshfield, MA. Thanks to everyone who has been supporting me! Donations made payable to the American Diabetes Association are gratefully accepted online Tour de Cure- 150 miles for Diabetes Research (and matched by my company). Contact me via email if you prefer to mail a check. For the past month I've been riding with the name of my coworker's sister in my jersey pocket. She passed away on April 20th after undergoing heart surgery (only in her 40s...a diabetes sufferer). 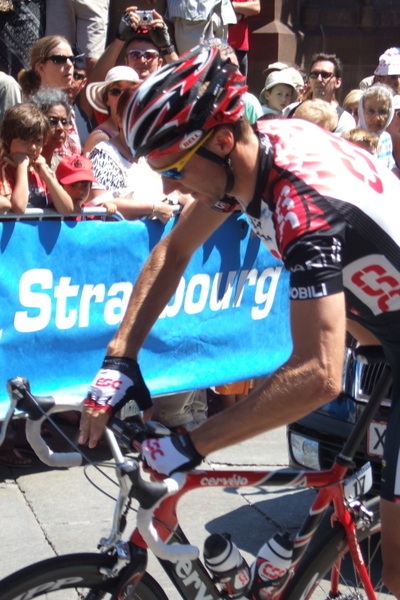 Last summer I traveled to Strasbourg to watch the Prologue and 1st stage of Le Tour de France. 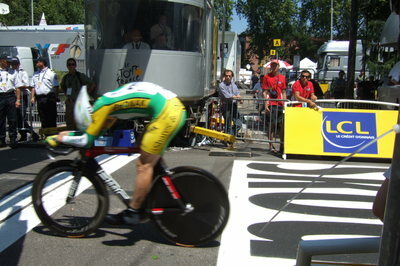 I also visited Paris on this trip but my reason for the trip was to experience Le Tour. It had been ten years since I was last in France and I would move there in a heartbeat. It probably helps that I am fluent and received most of my elementary and secondary education in French schools from grade 3 - grade 10, besides having one of my college majors in French Literature & Translation. It was lonesome traveling solo but I would gladly go again if only for the rush of the peleton and the food. Did you know I used to write a cheese blog? 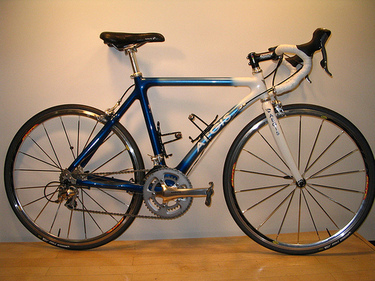 Since it never made it higher than 10 degrees F outside yesterday I thought I should take this opportunity to introduce my Aegis Swift road bike. Isn't it beautiful? I had every intention to post about this year's cyclocross grand prix in Gloucester before I was sickly, so here are some pictures for Debby, who asked! Cyclocross is a really great cycling discipline that blends a time trial (the 1st one across the line after the set period--45 min here--wins) with a mostly off-road course that tests bike handling skills over terrain and obstacles. 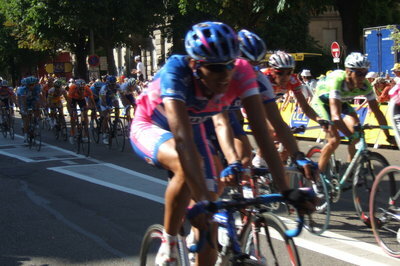 It would be ideal to televise because it is a compact course and action-filled. So, Vs. (OLN) I hope you are listening! I'm a roadie but I am drawn to this sport because it is challenging without being dangerous (ahem--too big of a wimp for mtn. 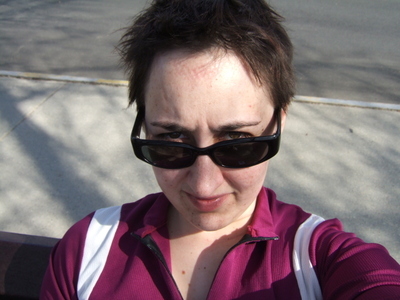 biking). I may try it out next year just for fun. The Gloucester event is 2-day and we went up on Sunday to cheer Jason and take in the elite men's and women's races. We did arrive in time to see the wee 5-12 year olds racing on a modified course, unbearable cuteness. I'll be watching the Crit on Sunday 4/9. It's up on the Tufts campus--I hear it has a few great turns. Hometown races, whee!